Deciding to sell your diamond can be a stressful decision and especially when it comes to deciding where to take your business. A trusted diamond buyer is necessary and it is in your best interest to investigate. M.I. Trading strongly recommends selling your diamond to a recognized diamond expert; where they work in a transparent manner. When you talk to real diamond experts, they will be able to explain to you the difference between similar diamonds and ensure you get the price you are looking for. Previously we at M.I. Trading published a blog outlining the benefits of eliminating the middleman in your transactions and we can not stress the importance of this enough. You should eliminate the middleman to ensure the quality of your diamond is exactly what you expect it to be. Our onsite inspections provide you with accurate and often higher quotes. At M.I. Trading the gemologist is always on site and your diamond is never far from you so you can rest assured that all assessments are accurate and professional. But you don’t need to take our word for it! In today’s internet driven world all the information you need is just a click away and customer reviews are a vital source of accurate information. Checking online reviews grants you, the customer, insight into how a business conducts itself professionally and the legitimacy of its dealings. 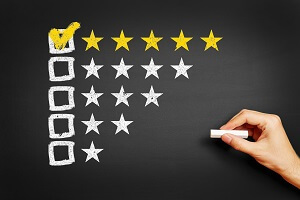 When looking at a customer review it is best to search for multiple consumer review sites online such as Yelp and the Better Business Bureau to get an accurate idea. When customers search for M.I. Trading in Austin online they are sure to only find amazing reviews that we are proud to share. The personal touch in any business transaction can set your experience apart from any other. As well finding a company that has repeat customers is a great sign you can trust them to understand your individual needs. Reviews can also let you know if the company works with a middleman or does all of its inspections and quotes on house. Whatever company you choose to take your business too, it is important to consider the experiences others have had and find the business that best represents your needs. Check out more testimonials about Austin diamond buyers! The Importance of Reviews https://austindiamondbuyer.net/blog/the-importance-of-reviews/ 4.2/5 based upon 12 reviews.